Sochi, Russia -- So much for the lime green menace. 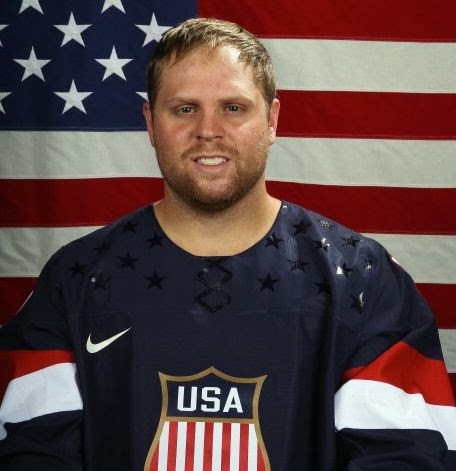 Phil Kessel recorded a natural hat trick, including two goals in the first five minutes of the contest, while Ryan Miller stopped 17-of-18 shots in his first start of these Olympics in Team USA's 5-1 decision over Slovenia on Sunday morning. The Americans earned themselves a bye in qualifying, finishing play in Pool A with a 3-0 record. They will be out of action until the quarterfinal round, which plays all of its four games on Wednesday. Ryan McDonagh and David Backes also lit the lamp, with Joe Pavelski contributing three assists to the winning effort. Marcel Rodman scored for the Slovenes, with Luka Gracnar allowing all five scores on 28 shots in the loss. Anze Kopitar, the star player for the tiny country from the former Yugoslavia, did not finish the contest. Kopitar's father, the nation's head coach, stated his son left the game due to a stomach issue and went to hospital for blood tests. It was all Kessel from the get-go. He opened the scoring at 1:04, by taking a Pavelski pass, swooping around a defender and scoring through Gracnar's pads. He provided a two-goal margin with 4:33 played by batting a Pavelski feed out of the air and into the net, then completed the trifecta at 11:05 of the second by sliding in the rebound of a Pavelski chance. That was the first hat trick by an American since John LeClair unleashed his fury in a 6-0 win against Finland on Feb. 15, 2002. McDonagh pushed the Americans' edge to 4-0 only 72 seconds later with a laser to the top corner and Backes lit the lamp 3:26 into the third. The USA snagged the second seed after Finland-Canada moved beyond regulation. They will take on the winner of the Battle of Bohemia between the Czechs and Slovaks. Canada posted a 2-1 overtime victory and took the three seed, with the Finns ending up fourth.